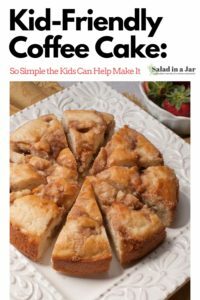 For night-owls or early birds: Mix up this Kid-Friendly Coffee Cake the night before and bake it the next morning. Or, whip it up after you drink your morning coffee and bake immediately. Delicious either way! Note the original recipe includes no nuts, chocolate or unusual spices or flavorings making it perfect for kids or people with allergies. I added pecans (1/4 cup) and chopped semi-sweet chocolate (1-2 ounces) to the cake pictured below and it was delicious! I can only imagine what it would taste like with almonds, chopped candy bars, butterscotch chips, etc. If you want your cake to have deep valleys full of cinnamon-sugar-buttery-goodness like you see in the first picture, make the topping like Derinda does. Melt the butter and stir with a spoon. Drop it over the dough. If you prefer a more even topping, do it like her mother, Kay. Cut cold butter into sugar-Bisquick mixture with a fork or rub it together with your fingers then sprinkle evenly over the dough. Stir together Bisquick and sugar in medium bowl. In separate bowl, melt butter in the microwave for 30 seconds. (I use a 2-cup Pyrex measuring cup). Add milk and egg to butter and whisk well. Combine liquids with Bisquick and stir just until mixed. Spread in prepared pan. Don't worry if there doesn't seem to be enough batter. The topping adds a lot. Mix sugar. cinnamon and Bisquick with softened butter and distribute evenly over the top of batter in the pan. OR mix sugar, cinnamon and Bisquick together with a fork. Cut butter into dry ingredients with a fork or your fingers and sprinkle over batter in the pan. Bake until golden brown and toothpick comes out clean. 13-14 minutes if using 9-inch pan; 20-21 minutes if using 8-inch pan. May be mixed the night before, covered and refrigerated before baking in the morning. Add a few extra minutes to baking time. 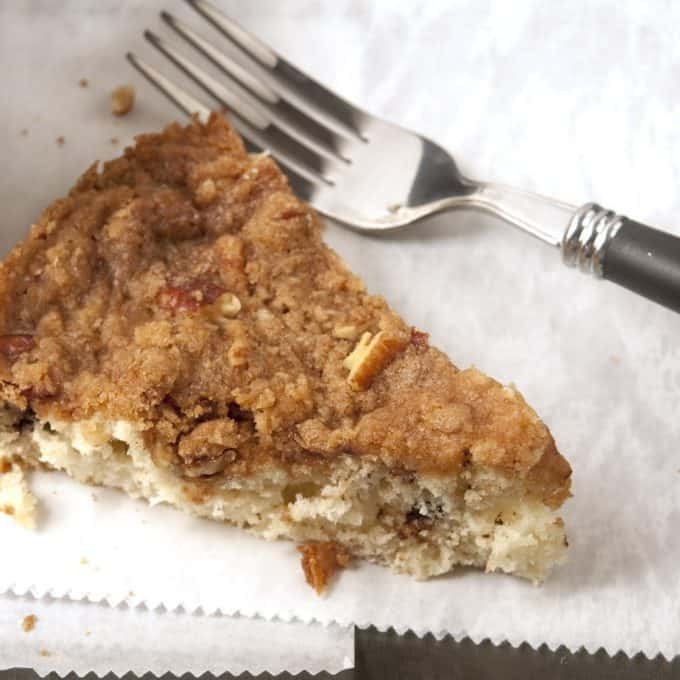 Kid-Friendly Coffee Cake is adapted from a recipe on the back of the Bisquick box. What an amazing mouth watering recipe. I just love eating cakes. I got another recipe for my cake list; I am definitely going to try this. This looks wonderful! I have one quick question, please. I only have a new wave oven, which the baking temperature only goes to 350°. Is it at all possible I can make this at that temperature, cooking with a silicone cake pan? I sure hope so. The maximum heat precludes me from many recipes. I really hope so. Oh.My.Gosh! This looks so yummy and sounds so easy. Got.to.try.it! Amazing!! Thanks for sharing the recipe.. The pics are superb, makes me feel hungry..
this looks amazing. my picky-as-all-get-out fiance miiiiight even eat this!! i don’t have bisquick but i have pancake mix… i wonder if that’ll work just as well. 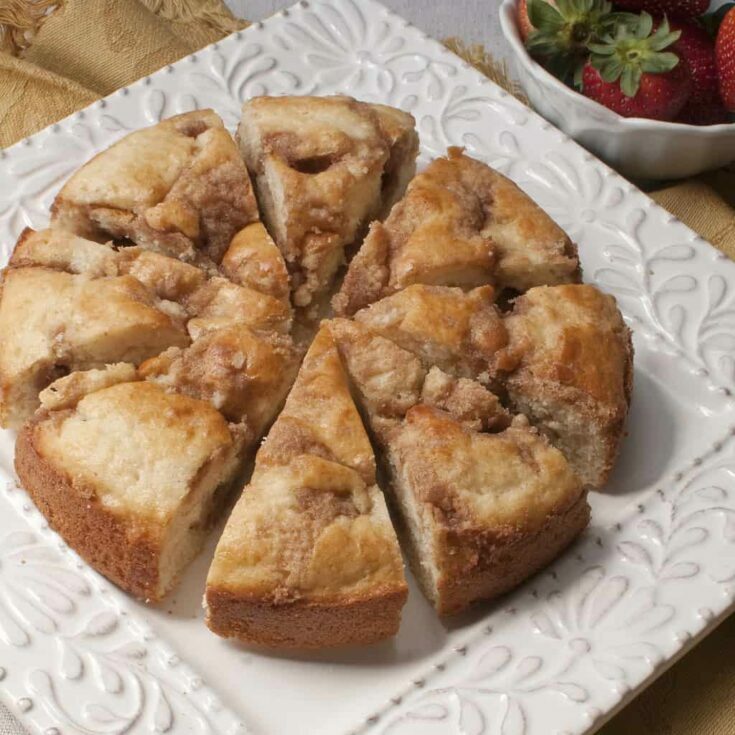 Love coffee cake and that does look delicious. So many possibilities. Awesome pictures and a very yummy looking cake! When i saw that recipe than it make me hungry! I like that Coffee Cake. Thanks for share that recipe. Making me hungry! I will have to get Ann to make this sometime. i love a good coffee cake. this looks delicious! Thanks for the memories! 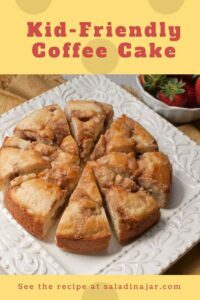 All the kids in the neighborhood loved this coffee cake. By the way, when they came out with the individual packets of Bisquick, we adapted the original recipe, so one packet just fits this recipe. As always, great job with your pictures. I love things I can make the night before to bake in the morning. This looks so good. No picky eaters here, so I’d add everything! i never knew about the difference in the toppings, interesting! i’ve always cut the butter in. Very nice! We have nut-averse, picky children who would love this recipe. You do an amazing job with your pictures!!!!!!!!!! !